One of the biggest sensations to hit the app gaming world is the remarkable Angry Birds. It has gone from video game to full-fledged phenomenon, and Angry Birds app maker Rovio is raking in the cash as a result of it. The Angry Birds tie-in is so hot that everyone’s wanting a piece, including 20th Century Fox. Rovio and 20th Century Fox are working together on Angry Birds Rio, a tie-in between Angry Birds and Fox’s upcoming animated movie Rio. 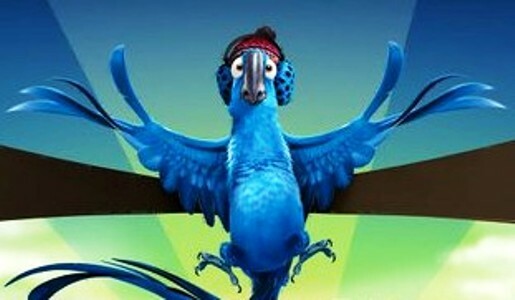 The big screen tie-in is with Rio, a story of a macaw named Blu who travels from Minnesota to Rio de Janeiro, Brazil, and meets the macaw of his dreams. Meanwhile, in Angry Birds Rio, the familiar Angry Birds are kidnapped by a white macaw and taken to Brazil, because they’re considered extremely valuable and worth $100,000. They escape only to discover hundreds of other caged birds. Thus, the battle between the Angry Birds and macaws begins! If you think the big screen tie-in is the limit of the Angry Birds brand, think again. “We have been looking at that for quite a while, and that is definitely one of my personal big focus areas right now – to work on broadcast content for Angry Birds,” said Rovio CEO Mikael Hed.